The cookies are coming, and they’re bringing two new friends! Can you hear that? 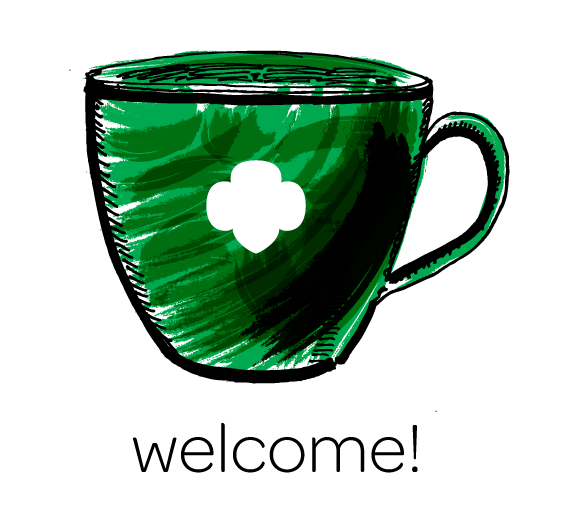 It’s the sound of tummies rumbling at the start of the Girl Scout cookie season! 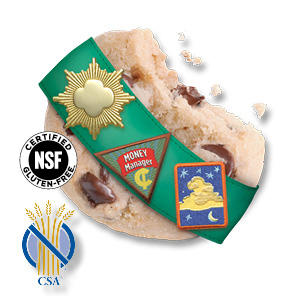 We begin selling cookies January 26 – March 15, 2014. 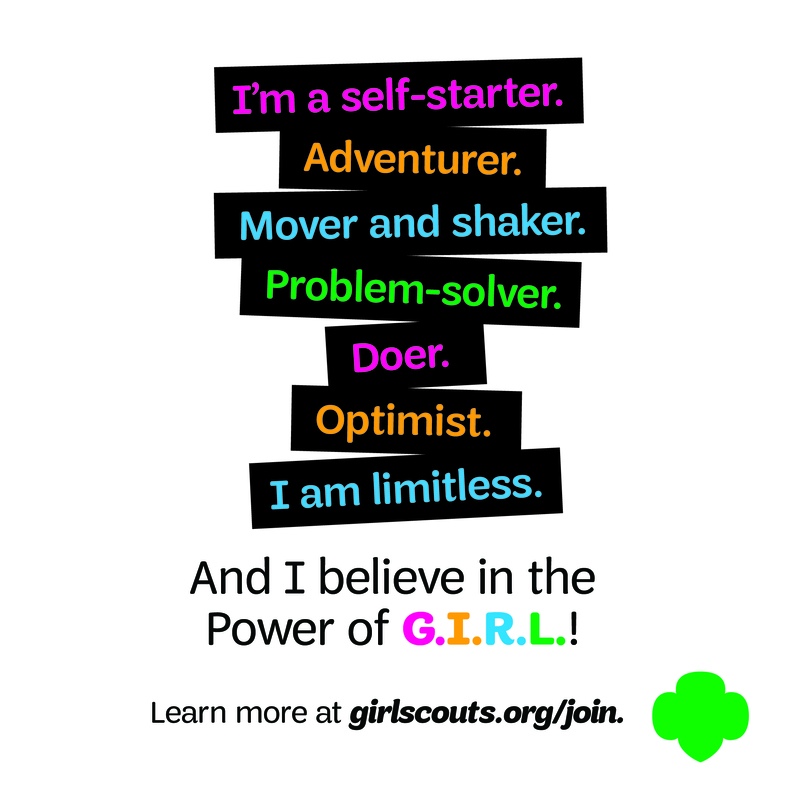 “For our girls, and just as it was for me, the Cookie Program is their very first job. I’m forever grateful that selling cookies taught me how to handle money, set goals, and grow a dream into a business,” said Cynthia Breunig, CEO and president of GSSGC. 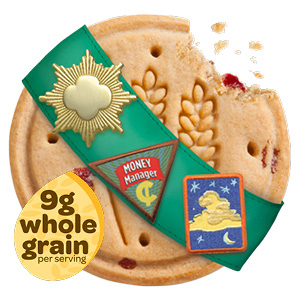 This year, along with the regular lineup of Thin Mints, Peanut Butter Patties, Caramel deLites, Shortbreads, Thanks-A-Lots, Lemonades, and Peanut Butter Sandwiches, our council is rolling out two new cookie flavors. The first is a Cranberry Citrus Crisp, the first all-occasion cookie that brags 9 grams of whole grains and deliciousness. The second will have the gluten-free cookie-loving crowd racing to your nearest Girl Scout cookie booth. The new Chocolate Chip Shortbread is certified gluten-free, which makes it suitable for those with Celiac disease (those with severe gluten intolerance). It has a melt-in-your-mouth, buttery explosion of flavor! Preliminary taste tests have certified these new Girl Scout cookies as extremely delicious. The downside? The gluten-free Chocolate Chip Shortbreads are only available in limited quantities, so tell your cookie fans they’d better stock up fast. “It’s a pilot program, which is why we have a limited supply of only 36,000 boxes, and only 20 councils nationwide are selling this product. We’re extremely lucky to showcase them to the Inland Empire,” said Elizabeth “E” Locke-Thomas, vice president of product and retail sales at GSSGC. 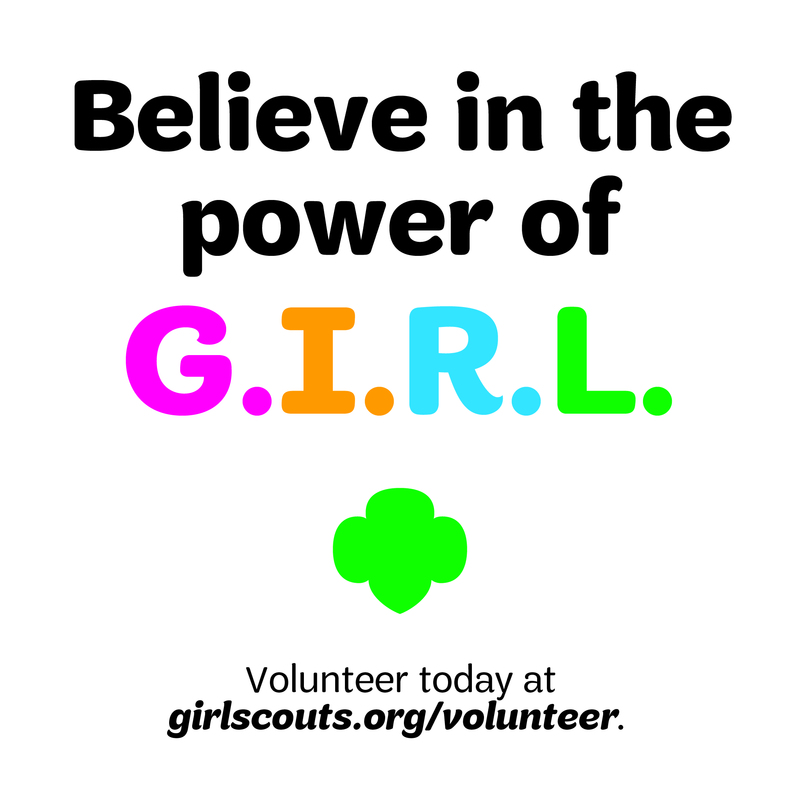 And if 36,000 boxes sounds like a lot of cookies to you, just consider how last year alone the Girl Scouts San Gorgonio Council (a.k.a. you) sold 2.5 million boxes in only 43 days! Previous Previous post: BIG Expo Bake Off Winners! Next Next post: It’s Cookie Time!